No. 2: Deere & Co.
No. 4: Vail Resorts Inc. These companies earn our IW 500 Business Innovation awards for projects in eight critical categories, from business analytics to revenue generation. Get a ranked list of the top 250 companies. 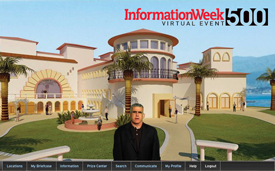 Get all the data in the 2012 InformationWeek 500 Report.